This article is about the person Andrés Bonifacio. For the Philippine Navy ship, see BRP Andrés Bonifacio (PF-7). For other uses, see Bonifacio. This name uses Spanish naming customs: the first or paternal family name is Bonifacio and the second or maternal family name is de Castro. The single known extant photograph of Bonifacio. Andrés Bonifacio y de Castro (November 30, 1863 – May 10, 1897) was a Filipino revolutionary leader and the president of the Tagalog Republic. He is often called "The Great Plebeian" and "The Father of the Philippine Revolution". He was one of the founders and later Supremo (Supreme Leader) of the Kataas-taasan, Kagalanggalangang Katipunan ng mga Anak ng Bayan or simply and more popularly called Katipunan, a movement which sought the independence of the Philippines from Spanish colonial rule and started the Philippine Revolution. He is considered a de facto national hero of the Philippines, and is also considered by some Filipino historians to be the first President of the Philippines (through the revolutionary government he established), but officially he is not recognized as such. Andrés Bonifacio was born in Tondo, Manila, the son of Charles Gatbunton Y Bonifacio, a native of Taguig, and Catalina de Castro, a native of Iba, Zambales. He was the eldest of six children. His siblings were Ciriaco, Procopio, Troadio, Esperidiona and Maxima. His father was a tailor who served in the colonial government as a teniente mayor of Tondo, Manila, while his mother was a supervisor at a cigarette factory in Manila and was a mestiza born of a Spanish father and a Filipino-Chinese mother. As was custom during that time, upon baptism he was named after the saint on whose feast day he was born, Andrew the Apostle. Bonifacio learned his alphabet in 10 years through his mother's sister and he was first enrolled in a private school of one Guillermo Osmeña where he learned Latin and mathematics though his normal schooling was cut short when he dropped out at about fourteen years old to support his siblings after both of their parents died of illnesses one year apart. Bonifacio was blessed with good hands in craftsmanship and visual arts that he made canes and paper fans, which he and his young siblings sold, and he made posters for business firms. This became their thriving family business that continued on when the men of the family, Andres, Ciriaco, Procopio and Troadio, became employed with private and government companies which provided them decent living condition. In his late teens, he worked as a mandatorio for the British trading firm Fleming and Company, where he rose to become a corregidor of tar, rattan and other goods. He later transferred to Fressell and Company, a German trading firm, where he worked as a bodeguero (storehouse keeper) where he is responsible for warehouse inventory. Bonifacio also founded a theater company with his friends, Macario Sakay and Aurelio Tolentino, where he was also a part-time actor performing in moro-moro plays. Not finishing his normal education, Bonifacio enriched his natural intelligence with self-education. He read books about the French Revolution, biographies of the Presidents of the United States, books about contemporary Philippine penal and civil codes, and novels such as Victor Hugo's Les Misérables, Eugène Sue's Le Juif errant and José Rizal's Noli Me Tángere and El Filibusterismo. Aside from Tagalog and Spanish, he could speak and understand English, which he learned while working at J.M. Fleming and Co.
Bonifacio was married twice: first to a certain Monica of Palomar. She was Bonifacio's neighbor in Tondo. Monica died of leprosy and they had no recorded children. In 1892 Bonifacio, a 29-year-old widower, met the 18-year-old Gregoria de Jesús, through his friend Teodoro Plata who was her cousin. Gregoria, also called Oriang, was the daughter of a prominent citizen and landowner from Caloocan. Gregoria's parents did not agree at first to their relationship as Andrés was a freemason and freemasons were then considered enemies of the Catholic church. Her parents eventually gave in and Andrés and Gregoria were married through a Catholic ceremony in Binondo Church in March 1893 or 1894. The couple also were married through Katipunan rites in a friend's house in Sta. Cruz, Manila on the same day of their church wedding. They had one son named Andrés, Jr., born on early 1896, who died of smallpox in infancy. In 1892 Bonifacio was one of the founding members of José Rizal's La Liga Filipina, an organization which called for political reforms in Spain's colonial government of the Philippines. However, La Liga disbanded after only one meeting as Rizal was arrested and deported to Dapitan in Mindanao. Bonifacio, Apolinario Mabini and others revived La Liga in Rizal's absence and Bonifacio was active at organizing local chapters in Manila. He would become the chief propagandist of the revived Liga. La Liga Filipina contributed moral and financial support to the Propaganda Movement of Filipino reformists in Spain. Andrés Bonifacio was also a member of Freemasonry with the lodge Taliba headed by Jose Dizon; and his pseudonym was Sinukuan, possibly taken from a Philippine mythological character Maria Sinukuan. On the night of July 7, 1892, the day after Rizal's deportation was announced, Bonifacio and others officially "founded" the Katipunan, or in full, Kataastaasang Kagalanggalangang Katipunan ng mga Anak ng Bayan ("Highest and Most Respected Society of the Country's Children;" Bayan can also denote community, people, and nation). The secret society sought independence from Spain through armed revolt. It was influenced by Freemasonry through its rituals and organization, and several members including Bonifacio were also Freemasons. Within the society Bonifacio used the pseudonym May pag-asa ("There is Hope"). Newly found documents though suggest that Katipunan has already been existing as early as January 1892. For a time, Bonifacio worked with both the Katipunan and La Liga Filipina. La Liga eventually split because some members like Bonifacio lost hope for peaceful reform and stopped their monetary aid. The more conservative members, mostly wealthy members, who still believed in peaceful reforms set up the Cuerpo de Compromisarios, which pledged continued support to the reformists in Spain. The radicals were subsumed into the Katipunan. From Manila, the Katipunan expanded to several provinces, including Batangas, Laguna, Cavite, Bulacan, Pampanga, and Nueva Ecija. 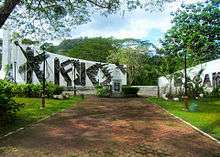 Most of its members, called Katipuneros, came from the lower and middle classes, and many of its local leaders were prominent figures in their municipalities. At first exclusively male, membership was later extended to females, with Bonifacio's wife Gregoria de Jesús as a leading member. From the beginning, Bonifacio was one of the chief Katipunan officers, although he did not become its Supremo (supreme leader) or Presidente Supremo (Supreme President) until 1895. He was the third head of the Katipunan after Deodato Arellano and Román Basa. Prior to this, he served as the society's comptroller and then as its fiscal. The society had its own laws, bureaucratic structure and elective leadership. For each province involved, the Katipunan Supreme Council coordinated with provincial councils in charge of public administration and military affairs, and with local councils in charge of affairs on the district or barrio level. Within the society, Bonifacio developed a strong friendship with Emilio Jacinto, who served as his adviser and confidant, as well as a member of the Supreme Council. Bonifacio adopted Jacinto's Kartilya primer as the official teachings of the society in place of his own Decalogue, which he judged as inferior. Bonifacio, Jacinto and Pío Valenzuela collaborated on the society's organ, Kalayaan (Freedom), which had only one printed issue. Bonifacio wrote several pieces for the paper, including the poem Pag-ibig sa Tinubúang Lupà (approx. "Love for One's Homeland) under the pseudonym Agapito Bagumbayan. The publication of Kalayaan in March 1896 led to a great increase in the society's membership. The Katipunan movement spread throughout Luzon, to Panay in the Visayas and even as far as Mindanao. From less than 300 members in January 1896, it had 30,000 to 40,000 by August 1896. The rapid increase in Katipunan activity drew the suspicion of the Spanish authorities. By early 1896, Spanish intelligence was aware of the existence of a seditious secret society, and suspects were kept under surveillance and arrests were made. On 3 May, Bonifacio held a general assembly of Katipunan leaders in Pasig, where they debated when to start the revolution. While some officers, especially Bonifacio, believed a revolution was inevitable, some members, especially Santiago Alvarez and Emilio Aguinaldo both of Cavite, expressed reservations and disagreement regarding the planned revolt due to lack of firearms. The consensus was to consult José Rizal in Dapitan before launching armed action, so Bonifacio sent Pío Valenzuela to Rizal. Rizal turned out to be against the revolution, believing it to be premature. He recommended more preparation, but suggested that, in the event the revolution did break out, they should seek the leadership of Antonio Luna, who was widely regarded as a brilliant military leader. The Spanish authorities confirmed the existence of the Katipunan on August 19, 1896. Hundreds of Filipino suspects, both innocent and guilty, were arrested and imprisoned for treason. José Rizal was then on his way to Cuba to serve as a doctor in the Spanish colonial army in exchange for his release from Dapitan. When the news broke, Bonifacio first tried to convince Rizal, quarantined aboard a ship in Manila Bay, to escape and join the imminent revolt. Bonifacio, Emilio Jacinto and Guillermo Masangkay disguised themselves as sailors and went to the pier where Rizal's ship was anchored. Jacinto personally met with Rizal, who rejected their rescue offer. Rizal himself was later arrested, tried and executed. On August 30, 1896, Bonifacio personally led an attack on San Juan del Monte to capture the town's powder magazine and water station (which supplied Manila). The defending Spaniards, outnumbered, fought a delaying battle until reinforcements arrived. Once reinforced, the Spaniards drove Bonifacio's forces back with heavy casualties. Bonifacio and his troops regrouped near Marikina, San Mateo and Montalban. Elsewhere, fighting between rebels and Spanish forces occurred in Mandaluyong, Sampaloc, Santa Ana, Pandacan, Pateros, Marikina, Caloocan, Makati and Taguig. The conventional view among Filipino historians is that the planned general Katipunan offensive on Manila was aborted in favor of Bonifacio's attack on San Juan del Monte, which sparked a general state of rebellion in the area. However, more recent studies have advanced the view that the planned offensive did push through and the rebel attacks were integrated; according to this view, Bonifacio's San Juan del Monte battle was only a part of a bigger whole – an unrecognized "Battle for Manila". Despite his reverses, Bonifacio was not completely defeated and was still considered a threat. Further, the revolt had spread to the surrounding provinces by the end of August. By December 1896, the Spanish government recognized three major centers of rebellion: Cavite (under Mariano Alvarez, Emilio Aguinaldo and others), Bulacan (under Mariano Llanera) and Morong (under Bonifacio). The revolt was most successful in Cavite, which mostly fell under rebel control by September–October 1896. Apolinario Mabini, who later joined the rebels and served as Aguinaldo's adviser, wrote that the government troops in Cavite were limited to small, scattered constabulary detachments and thus the rebels were able to take virtually the entire province. The Spanish government had transferred much of its troops from Cavite (and other provinces) to Manila in anticipation of Bonifacio's attack. The Cavite rebels won prestige in defeating Spanish troops in set piece battles, using tactics like trench warfare. While Cavite is traditionally regarded as the "Heartland of the Philippine Revolution", Manila and its surrounding municipalities bore the brunt of the Spanish military campaign, becoming a no man's land. Rebels in the area were generally engaged in hit-and-run guerrilla warfare against Spanish positions in Manila, Morong, Nueva Ecija and Pampanga. From Morong, Bonifacio served as tactician for rebel guerrillas and issued commands to areas other than his personal sector, though his reputation suffered when he lost battles he personally led. From September to October 1896, Bonifacio supervised the establishment of Katipunan mountain and hill bases like Balara in Marikina, Pantayanin in Antipolo, Ugong in Pasig and Tungko in Bulacan. Bonifacio appointing generals for these areas, or approving selections the troops themselves made. On November 7, 1896 Bonifacio led an assault on San Mateo, Marikina and Montalban. The Spanish were forced to retreat, leaving these areas to the rebels, except for the municipal hall of San Mateo where some Spanish troops had barricaded. While Bonifacio's troops laid siege to the hall, other Katipunan forces set up defensive lines along the nearby Langka (or Nangka) river against Spanish reinforcements coming from the direction of Marikina. After three days, Spanish counterattacks broke through the Langka river lines. The Spanish troops thus recaptured the rebel positions and surprised Bonifacio in San Mateo, who ordered a general retreat to Balara. They were pursued, and Bonifacio was nearly killed shielding Emilio Jacinto from a Spanish bullet which grazed his collar. In Balara, Bonifacio commissioned Julio Nakpil to compose a national anthem. Nakpil produced a hymn called Marangal na Dalit ng Katagalugan ("Honorable Hymn of the Tagalogs") and became the official national anthem during the entire period of the revolution until it was replaced years later by another national anthem commissioned by the new Republica Filipina government that replaced the Haring Bayang Katagalugan. There were two Katipunan provincial chapters in Cavite that became rival factions: the Magdalo, headed by Emilio Aguinaldo's cousin Baldomero Aguinaldo, and the Magdiwang, headed by Mariano Álvarez, uncle of Bonifacio's wife. Leaders of both factions came from the upper class, in contrast to Bonifacio, who came from the lower middle class. After initial successes, Emilio Aguinaldo issued a manifesto in the name of the Magdalo ruling council which proclaimed a provisional and revolutionary government – despite the existence of the Katipunan government. Emilio Aguinaldo in particular had won fame for victories in the province. The Magdalo and Magdiwang clashed over authority and jurisdiction and did not help each other in battle. Bonifacio, as the recognized overall leader of the revolution, was invited by the Cavite leaders to mediate between them and unify their efforts. After multiple letters were sent to Bonifacio urging him to come, in December 1896 he traveled to Cavite accompanied by his wife, his brothers Procopio and Ciriaco, and some troops, including Emilio Jacinto, Bonifacio's secretary and right-hand man. Jacinto was said to be against Bonifacio's expedition to Cavite. In Cavite, friction grew between Bonifacio and the Magdalo leaders. Apolinario Mabini, who later served as Emilio Aguinaldo's adviser, writes that at this point the Magdalo leaders "already paid little heed to his authority and orders." Bonifacio was partial to the Magdiwang, perhaps due to his kinship ties with Mariano Álvarez, or more importantly, due to their stronger recognition of his authority. When Aguinaldo and Edilberto Evangelista went to receive Bonifacio at Zapote, they were irritated with what they regarded as his attitude of superiority. In his memoirs Aguinaldo wrote that Bonifacio acted "as if he were a king". Another time, Bonifacio ordered the arrest of one Katipunan general from Laguna surnamed Fernandez, who was accompanying the Magdalo leaders in paying their respect to Bonifacio, for failing to support his attack in Manila, but the other Magdalo leaders refused to surrender him. Townspeople in Noveleta (a Magdiwang town) acclaimed Bonifacio as the ruler of the Philippines, to the chagrin of the Magdalo leaders, (Bonifacio replied: "long live Philippine Liberty!"). Aguinaldo disputed with Bonifacio over strategic troop placements and blamed him for the capture of the town of Silang. The Spanish, through Jesuit Superior Pio Pi, wrote to Aguinaldo about the possibility of peace negotiations. When Bonifacio found out, he and the Magdiwang council rejected the proposed peace talks. Bonifacio was also angered that the Spanish considered Aguinaldo the "chief of the rebellion" instead of him. However, Aguinaldo continued to arrange negotiations which never took place. Bonifacio believed Aguinaldo was willing to surrender the revolution. Bonifacio was also subject to rumors that he had stolen Katipunan funds, his sister was the mistress of a priest, and he was an agent provocateur paid by friars to foment unrest. Also circulated were anonymous letters which told the people of Cavite not to idolize Bonifacio because he was a Mason, a mere Manila employee, allegedly an atheist, and uneducated. According to these letters, Bonifacio did not deserve the title of Supremo since only God was supreme. This last allegation was made despite the fact that Supremo was meant to be used in conjunction with Presidente, i.e. Presidente Supremo (Supreme President) to distinguish the president of the Katipunan Supreme Council from council presidents of subordinate Katipunan chapters like the Magdalo and Magdiwang. Bonifacio suspected the rumor-mongering to be the work of the Magdalo leader Daniel Tirona. He confronted Tirona, whose airy reply provoked Bonifacio to such anger that he drew a gun and would have shot Tirona if others had not intervened. On December 31, Bonifacio and the Magdalo and Magdiwang leaders held a meeting in Imus, ostensibly to determine the leadership of Cavite in order to end the rivalry between the two factions. The issue of whether the Katipunan should be replaced by a revolutionary government was brought up by the Magdalo, and this eclipsed the rivalry issue. The Magdalo argued that the Katipunan, as a secret society, should have ceased to exist once the Revolution was underway. They also held that Cavite should not be divided. Bonifacio and the Magdiwang contended that the Katipunan served as their revolutionary government since it had its own constitution, laws, and provincial and municipal governments. Edilberto Evangelista presented a draft constitution for the proposed government to Bonifacio but he rejected it as it was too similar to the Spanish Maura Law. Upon the event of restructuring, Bonifacio was given carte blanche to appoint a committee tasked with setting up a new government; he would also be in charge of this committee. He tasked Emilio Aguinaldo to record the minutes of the meeting and requested for it to establish this authority, but these were never done and never provided. Influenced by Freemasonry, the Katipunan had been organized with "its own laws, bureaucratic structure and elective leadership". For each province it involved, the Supreme Council coordinated provincial councils which were in charge of "public administration and military affairs on the supra-municipal or quasi-provincial level" and local councils, in charge of affairs "on the district or barrio level". One name for Bonifacio's concept of the Philippine nation-state appears in surviving Katipunan documents: Haring Bayang Katagalugan ("Sovereign Nation of Katagalugan", or "Sovereign Tagalog Nation") - sometimes shortened into Haring Bayan ("Sovereign Nation"). Bayan may be rendered as "nation" or "people". Bonifacio is named as the president of the "Tagalog Republic" in an issue of the Spanish periodical La Ilustración Española y Americana published in February 1897 ("Andrés Bonifacio - Titulado "Presidente" de la República Tagala"). Another name for Bonifacio's government was Repúblika ng Katagalugan (another form of "Tagalog Republic") as evidenced by a picture of a rebel seal published in the same periodical the next month. An 1897 power struggle in Cavite led to command of the revolution shifting to Emilio Aguinaldo at the Tejeros Convention, where a new government was formed. Bonifacio was executed after he refused to recognize the new government. The Aguinaldo-headed Philippine Republic (Spanish: República Filipina), usually considered the "First Philippine Republic", was formally established in 1899, after a succession of revolutionary and dictatorial governments (e.g. the Tejeros government, the Biak-na-Bato Republic) also headed by Aguinaldo. On February 15, 1897 the Spaniards launched the powerful Cavite offensive to drive and crush Filipino revolutionaries under General Emilio Aguinaldo and his Magdalo forces which held numerous victories against the Spanish in the early stages of the revolution. Renewed and fully equipped with 100 cannons, 23,000 Spanish cazadores forces under Major General Jose de Lachambre have seen town after town, falling back to the Crown. Starting the offensive at Pamplona, Cavite and Bayungyungan, Batangas, Lachambre's men would later march deep into the heart of Aguinaldo's home province. Having just won the battle of Zapote, Aguinaldo turned his attention at the new Spanish threat determined to recapture most of Cavite. Aguinaldo decided to deploy his forces at Pasong Santol that serves as a bottleneck of Perez Dasmariñas on the way to Imus rendering the Spanish lack of mobility and serving the revolutionaries with natural defensive positions. On February 19, Silang fell to the Spanish juggernaut despite attempts by Filipino forces to defend and then later, recover it. Nine days later, Spanish forces marched into Dasmariñas to reclaim the town. The week after, Spanish troops with good use of artillery pieces they brought along were on the attack again as they moved towards the Aguinaldo's capital, Imus. Meanwhile, at the Tejero's Convention, Emilio was voted in absentia as the president of the reorganized revolutionary government. Colonel Vicente Riego de Dios was sent by the assembly to fetch Gen. Emilio Aguinaldo who was then in Pasong Santol. The General refused to come, so Crispulo was then sent to talk to his brother. He greeted and talked to his brother and explained his purpose, but Emilio was hesitant to leave his post because of the pending attack of the Spanish in Dasmariñas. In March 1897, a stalemated battle between the revolutionary army of Crispulo Aguinaldo, while taking over General Emilio Aguinaldo's leadership in battle, and the Spanish forces, led by José de Lachambre, occurred in this trail. The Filipinos' resistance was tenacious as ever, refusing to give ground but the far more disciplined Spaniards advanced steadily. Emilio Aguinaldo realizing the size of the enemy and the danger of the situation, sent Magdalo troops to reinforce the threatened salient but Supremo Andres Bonifacio summoned Magdiwang troops under Artemio Ricarte to intercept the Magdalo troops to Pasong Santol thus preventing help to the revolutionary soldiers, citing he needed the soldiers elsewhere. The Spaniards pressed the offensive achieving tactical superiority which led to the massacre of the Filipino soldiers, including Aguinaldo's brother. The Spaniards only captured this salient after Crispulo was killed during the battle, and the rebels promptly broke off the engagement and reorganized inside the town. Exploiting the gap among the revolutionaries, the Spaniards decisively defeated the Magdalo forces. On March 22, 1897, The Revolutionary Leaders held an important Meeting in a Friar Estate Residence at Tejeros to resume their Discussions regarding the escalating Tension between the Magdalo and Magdiwang Forces; And also to settle once-and-for-all the Issue of Governance within the Katipunan through an Election. Amidst Implications on whether the Government of the "Katipunan" should be established as a Monarchy or as a Republic, Bonifacio defended that it should be maintained as a Republic. According to him, all of its members of any given rank shall serve under the Principle of Liberty, Equality and Fraternity, upon which Republicanism was founded. Despite Bonifacio's Concern on the Lack of Officials and Representatives from other Provinces, He was obliged to proceed with the Election. Before the Election started, he asked that the results be respected by everyone, and all agreed. The Magdalo faction voted their own Emilio Aguinaldo President in absentia, as he was involved in the battle of Perez Dasmariñas, which was then ongoing. 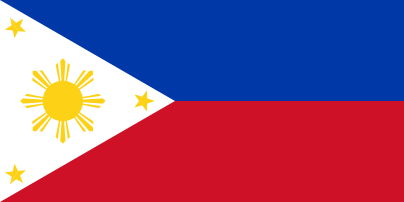 That revolutionary government, now known as the Republic of Biak-na-Bato, styled itself as the Philippine Republic or Republic of the Philippines. It lasted just over a month. A later revolutionary government now commonly known as the First Philippine Republic and also with Aguinaldo as President was inaugurated on January 23, 1899 as the Republica Filipina (Philippine Republic). 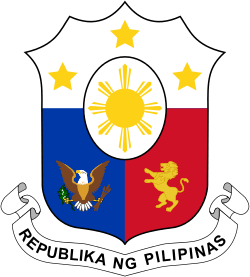 That later government is now considered to be the first Republic of the Philippines, the present-day government of the Philippines being the fifth. Bonifacio received the second-highest number of votes for President. Though it was suggested that he be automatically be awarded the Vice Presidency, no one seconded the motion and the Election continued. Mariano Trías of the Magdiwang was elected Vice President. Bonifacio was the last to be elected, as Director of the Interior. Daniel Tirona, protested Bonifacio being appointed as Director of the Interior on the grounds that the position should not be occupied by a person without a lawyer's diploma. Tirona suggested a prominent lawyer for the position such as Jose del Rosario. Insulted and angered, Bonifacio demanded an apology, since the voters had agreed to respect the Election results. Tirona ignored Bonifacio's demand for apology which drove Bonifacio to draw his gun and again nearly shot Tirona, who hid among the people, but he was restrained by Artemio Ricarte of the Magdiwang, who had been elected Captain-General. As people left the room, Bonifacio declared: "I, as chairman of this assembly and as President of the Supreme Council of the Katipunan, as all of you do not deny, declare this assembly dissolved, and I annul all that has been approved and resolved." The next day, Aguinaldo surreptitiously took his oath of office as President in a chapel officiated by a Catholic priest Cenon Villafranca who was under the authority of the Roman pope. :109 According to Gen. Santiago Alvarez, guards were posted outside with strict instructions not to let in any unwanted partisan from the Magdiwang faction while the oath-taking took place. Artemio Ricarte also took his office "with great reluctance" and made a declaration that he found the Tejeros elections "dirty or shady" and "not been in conformity with the true will of the people." Meanwhile, Bonifacio met with his remaining supporters and drew up the Acta de Tejeros (Act of Tejeros) wherein they gave their reasons for not accepting the Election results. Bonifacio alleged the Election was fraudulent due to cheating and accused Aguinaldo of treason due to his negotiations with the Spanish. In their memoirs Santiago Álvarez (son of Mariano) and Gregoria de Jesús both alleged that many ballots were already filled out before being distributed, and Guillermo Masangkay contended there were more ballots prepared than voters present. Álvarez writes that Bonifacio had been warned by a Cavite leader Diego Mojica of the rigged ballots before the votes were canvassed, but he had done nothing. On March 23, 1897, the day after the Tejeros convention, Bonifacio drafted a document called Acts de Tejeros which rejected the revolutionary government headed by Aguinaldo. This document was signed in a secret meeting by Bonifacio and 44 other, including Artemio Ricarte, Mariano Alvarez and Pascual Alvarez. In a later meeting on April 19, another document, the Naic Military Pact, was drawn up which declared that its 41 signatories, "... having discovered the treason committed by certain officers who have been sowing discord and conniving with the Spaniards [and other offensive acts]", had "agreed to deliver the people from this grave danger" by raising an army corps "by persuasion or force" under the command of General Pio del Pilar. This document had 41 signatories including Bonifacio, Ricarte and del Pilar. The meeting was interrupted by Aguinaldo himself, and del Pilar, Mariano Noriel and others present promptly returned to Aguinaldo's fold. Aguinaldo attempted to persuade Bonifcio to cooperate with his government, but Bonifacio refused and proceeded to his house in Indang, Cavite. In late April Aguinaldo fully assumed presidential office after consolidating his position among the Cavite elite – most of Bonifacio's Magdiwang supporters declaring allegiance to Aguinaldo. Aguinaldo's government then ordered the arrest of Bonifacio, who was then moving out of Cavite. In April 1897, Aguinaldo ordered the arrest of Bonifacio after he received a letter alleging that Bonifacio had burned down a village and ordered the burning of the church of Indang after townspeople refused to give him provisions. Many of the principal men of Indang, among them Severino de las Alas, presented to Emilio Aguinaldo several complaints against Bonifacio that the Supremo’s men stole carabaos and other work animals by force and killed them for food. On April 25, a party of Aguinaldo's men led by Col. Agapito Bonzón and Major José Ignacio "Intsik" Paua caught up with Bonifacio at his camp in barrio Limbon, Indang. The unsuspecting Bonifacio received them cordially. Early the next day, Bonzón and Paua attacked Bonifacio's camp. Bonifacio was surprised and refused to fight against "fellow Tagalogs", ordering his men to hold their fire, but shots were nevertheless exchanged. Bonifacio was shot in the arm by Bonzón and Paua stabbed him in the neck but was prevented from striking further by one of Bonifacio's men, who offered to be killed instead. Andrés's brother Ciriaco was shot dead, while his other brother Procopio was beaten, and his wife Gregoria could have been raped by Bonzón. From Indang, a half-starved and wounded Bonifacio was carried by hammock to Naic, which had become President Aguinaldo’s headquarters. Bonifacio's party was brought to Naic, where he and Procopio stood trial on charges of sedition and treason against Aguinaldo's government and conspiracy to murder Aguinaldo. The jury was composed entirely of Aguinaldo's men and even Bonifacio's defence lawyer himself declared his client's guilt. Bonifacio was barred from confronting the state witness for the charge of conspiracy to murder on the grounds that the latter had been killed in battle, but after the trial the witness was seen alive with the prosecutors. The Bonifacio brothers were found guilty despite insufficient evidence and recommended to be executed. Aguinaldo commuted the sentence to deportation on May 8, 1897 but Pío del Pilar and Mariano Noriel persuaded him to withdraw the order for the sake of preserving unity. In this they were seconded by Mamerto Natividád and other bona fide supporters of Aguinaldo. The Bonifacio brothers were executed on May 10, 1897 in the mountains of Maragondon. 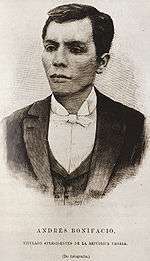 Apolinario Mabini wrote that Bonifacio's death demoralized many rebels from Manila, Laguna and Batangas who had come to help those in Cavite, and caused them to quit. In other areas, Bonifacio's close associates like Emilio Jacinto and Macario Sakay continued the Katipunan and never recognized Aguinaldo's authority. The historical assessment of Bonifacio involves several controversial points. His death is alternately viewed as a justified execution for treason and a "legal murder" fueled by politics. Some historians consider him to be the rightful first President of the Philippines instead of Aguinaldo. Some historians have also called that Bonifacio share or even take the place of José Rizal as the (foremost) Philippine national hero. The purported discovery of Bonifacio's remains has also been questioned. Historians have condemned the trial of the Bonifacio brothers as unjust. The jury was entirely composed of Aguinaldo's men; Bonifacio's defense lawyer acted more like a prosecutor as he himself declared Bonifacio's guilt and instead appealed for less punishment; and Bonifacio was not allowed to confront the state witness for the charge of conspiracy on the grounds that the latter had been killed in battle, but later the witness was seen with the prosecutors. Teodoro Agoncillo writes that Bonifacio's declaration of authority in opposition to Aguinaldo posed a danger to the revolution, because a split in the rebel forces would result in almost certain defeat to their united and well-armed Spanish foe. In contrast, Renato Constantino contends that Bonifacio was neither a danger to the revolution in general for he still planned to fight the Spanish, nor to the revolution in Cavite since he was leaving; but Bonifacio was definitely a threat to the Cavite leaders who wanted control of the Revolution, so he was eliminated. Constantino contrasts Bonifacio who had no record of compromise with the Spanish with the Cavite leaders who did compromise, resulting in the Pact of Biak-na-Bato whereas the revolution was officially halted and its leaders exiled, though many Filipinos continued to fight especially Katipunan leaders used to be close to Bonifacio (Aguinaldo eventually, unofficially allied with the United States, did return to take charge of the revolution during the Spanish–American War). Historians have also discussed the motives of the Cavite government to replace Bonifacio, and whether it had the right to do so. The Magdalo provincial council which helped establish a republican government led by one of their own was only one of many such councils in the pre-existing Katipunan government. Therefore, Constantino and Alejo Villanueva write Aguinaldo and his faction may be considered counter-revolutionary as well – as guilty of violating Bonifacio's constituted authority just as they considered Bonifacio to violate theirs. Aguinaldo's own adviser and official Apolinario Mabini writes that he was "primarily answerable for insubordination against the head of the Katipunan of which he was a member". Aguinaldo's authority was not immediately recognized by all rebels. If Bonifacio had escaped Cavite, he would have had the right as the Katipunan leader to prosecute Aguinaldo for treason instead of the other way around. Constantino and Villanueva also interpret the Tejeros Convention as the culmination of a movement by members of the upper class represented by Aguinaldo to wrest power from Bonifacio who represented the middle and lower classes. Regionalism among the Cavite rebels, dubbed "Cavitismo" by Constantino, has also been put forward as motivation for the replacement of Bonifacio. Mabini considered the execution as criminal and "assassination...the first victory of personal ambition over true patriotism." He also noted that "All the electors [at the Tejeros Convention] were friends of Don Emilio Aguinaldo and Don Mariano Trías, who were united, while Bonifacio, although he had established his integrity, was looked upon with distrust only because he was not a native of the province: this explains his resentment." There are differing accounts of Bonifacio's manner of execution. The commanding officer of the execution party, Lazaro Macapagal, said in two separate accounts that the Bonifacio brothers were shot to death, which is the orthodox interpretation. Macapagal's second account has Bonifacio attempting to escape after his brother is shot, but he is also killed while running away. Macapagal writes that they buried the brothers in shallow graves dug with bayonets and marked by twigs. However, another account states that after his brother was shot, Bonifacio was stabbed and hacked to death. This was allegedly done while he lay prone in a hammock in which he was carried to the site, being too weak to walk. This version was maintained by Guillermo Masangkay, who claimed to have gotten this information from one of Macapagal's men. Also, one account used to corroborate this version is of an alleged eyewitness, a farmer who claimed he saw five men hacking a man in a hammock. Historian Milagros Guerrero also says Bonifacio was bayoneted, and that the brothers were left unburied. After bones said to be Bonifacio's – including a fractured skull - were discovered in 1918, Masangkay claimed the forensic evidence supported his version of events. Writer Adrian Cristobal notes that accounts of Bonifacio's captivity and trial state he was very weak due to his wounds being left untreated; he thus doubts that Bonifacio was strong enough to make a last dash for freedom as Macapagal claimed. Historian Ambeth Ocampo, who doubts the Bonifacio bones were authentic, thus also doubts the possibility of Bonifacio's death by this manner. Some historians such as Milagros Guerrero, Emmanuel Encarnación, Ramón Villegas and Micheal Charleston Chua have pushed for the recognition of Bonifacio as the first President of the Philippines instead of Aguinaldo, the officially recognized one. This view is based on his position of President/Supremo of the Katipunan revolutionary government from 1896–97. This view also emphasizes that Bonifacio established a government through the Katipunan before a government headed by Aguinaldo was formed at the Tejeros Convention. Guerrero writes that Bonifacio had a concept of the Philippine nation called Haring Bayang Katagalugan ("Sovereign Tagalog Nation") which was displaced by Aguinaldo's concept of Filipinas. In documents predating Tejeros and the First Philippine Republic, Bonifacio is called the president of the "Tagalog Republic". The term Tagalog historically refers to an ethnic group, their language, and script. While historians have thus tended to view Bonifacio's concept of the Philippine nation as restricted to the Tagalog regions of Luzon, as compared to Aguinaldo's view of Luzon, Visayas, and Mindanao (comprising the modern Philippines), Guerrero writes that Bonifacio and the Katipunan in fact already had an all-encompassing view. The Kartilya defines "tagalog" as "all those born in this archipelago; therefore, though visayan, ilocano, pampango, etc. they are all tagalogs". In their memoirs, Emilio Aguinaldo and other Magdalo people claim Bonifacio became the head of the Magdiwang, receiving the title Harì ng Bayan ("King of the People") with Mariano Álvarez as his second-in-command. However, these claims are unsupported by documentary evidence. Carlos Quirino suggests these claims stem from a misunderstanding or misrepresentation of Bonifacio's title Pangulo ng Haring Bayan ("President of the Sovereign Nation"). Santiago Álvarez (son of Mariano) distinguishes between the Magdiwang government and the Katipunan Supreme Council headed by Bonifacio. José Rizal is generally considered the national hero, but Bonifacio has been suggested as a more worthy candidate on the grounds of having started the Philippine Revolution. Teodoro Agoncillo notes that the Philippine national hero, unlike those of other countries, is not "the leader of its liberation forces". Renato Constantino writes that Rizal is a "United States-sponsored hero" who was promoted as the greatest Filipino hero during the American colonial period of the Philippines – after Aguinaldo lost the Philippine–American War. The United States promoted Rizal, who was taken to represent peaceful political advocacy, instead of more radical figures whose ideas could inspire resistance against American rule. Specifically, Rizal was selected over Bonifacio who was viewed as "too radical" and Apolinario Mabini who was "unregenerate." Historian Ambeth Ocampo gives the opinion that arguing for Bonifacio as the "better" hero on the grounds that he, not Rizal, began the Philippine Revolution, is moot since Rizal inspired Bonifacio, the Katipunan, and the Revolution. Even prior to Rizal's banishment to Dapitan, he was already regarded by the Filipino people as a national hero, having been elected as honorary president by the Katipunan. León María Guerrero notes that while Rizal did not give his blessing to the Katipunan because he believed the time was premature, he did not condemn the aim of independence per se. Teodoro Agoncillo gives the opinion that Bonifacio should not replace Rizal as national hero, but they should be honored "side by side". Despite the lack of any official declaration explicitly proclaiming them as national heroes, [Rizal and Bonifacio] remain admired and revered for their roles in Philippine history. Heroes, according to historians, should not be legislated. Their appreciation should be better left to academics. Acclamation for heroes, they felt, would be recognition enough. In 1918, the American colonial government of the Philippines mounted a search for Bonifacio's remains in Maragondon. A group consisting of government officials, former rebels, and a man reputed to be Bonifacio's servant found bones which they claimed were Bonifacio's in a sugarcane field on March 17. The bones were placed in an urn and put into the care of the National Library of the Philippines. They were housed at the Library's headquarters in the Legislative Building in Ermita, Manila, together with some of Bonifacio's papers and personal belongings. The authenticity of the bones was much disputed at the time and has been challenged as late as 2001 by Ambeth Ocampo. When Emilio Aguinaldo ran for President of the Commonwealth of the Philippines in 1935, his opponent Manuel L. Quezon (the eventual victor) invoked the memory of Bonifacio against him, the bones being the result of Bonifacio's execution at Aguinaldo's hands. During World War II, the Philippines was invaded by Japan in December 1941. The bones were lost due to the widespread destruction and looting during the Allied capture of Manila in February 1945. Portrayed by Julio Diaz in the 1992 film Bayani and the unrelated 1995 TV series Bayani. Portrayed by Gardo Versoza in the 1998 film Jose Rizal. Portrayed by Alfred Vargas in the 2010 film Ang Paglilitis kay Andres Bonifacio and in the 2012 film, Supremo. Portrayed by Cesar Montano in the 2012 film El Presidente. Portrayed by Jolo Revilla in the 2013 TV series Indio. Portrayed by Sid Lucero in the 2013 TV series Katipunan and 2014 TV series Ilustrado. Portrayed by Robin Padilla in the 2014 film Bonifacio: Ang Unang Pangulo. 1 2 3 4 5 6 Ocampo 2001. ↑ Agoncillo 1990, p. 146. ↑ "Selection and Proclamation of National Heroes and Laws Honoring Filipino Historical Figures" (PDF). Reference and Research Bureau Legislative Research Service, House of Congress. Archived from the original (pdf) on June 4, 2011. Retrieved August 9, 2009. .
1 2 3 Guerrero 1998, pp. 166–167. 1 2 3 4 5 6 Guerrero 1996a, pp. 3–12. ↑ Guerrero 1998, p. 132. 1 2 Guerrero 1998, p. 149. ↑ "Katipunan: Documents and Studies". kasaysayan-kkk.info. ↑ Richardson, Jim (2013). The Light of Liberty: Documents and Studies on the Katipunan, 1892-1897. Ateneo de Manila University Press. ISBN 978-971-550-675-5. ↑ "The most important book of our time". Editorial. Philippine Daily Inquirer. December 2, 2013. ↑ Guerrero 1998, p. 151. 1 2 3 4 5 6 7 Álvarez 1992. ↑ Guerrero 1998, p. 150. ↑ Guerrero 1998, pp. 149–150. ↑ Pag-ibig sa Tinubuang Lupa. Philippine Revolution Web Center Site. 1 2 Constantino 1975, p. 175. ↑ Guerrero 1998, pp. 160–164. ↑ Constantino 1975, p. 176. ↑ Guerrero 1998, pp. 143,164. ↑ Borromeo-Buehler 1998, pp. 29–30. ↑ Salazar 1994, p. 107. 1 2 3 Salazar 1994. ↑ Salazar 1994, p. 104. 1 2 Guerrero 1998, p. 173. 1 2 Guerrero 1998, pp. 175–176. 1 2 3 4 5 Mabini 1969. ↑ Garcia & Rodriguez 2001. 1 2 3 4 5 6 Cristobal 2005. 1 2 3 4 5 6 Aguinaldo 1964. 1 2 Guerrero 1998, p. 190. ↑ Guerrero 1998, p. 187,190. ↑ Guerrero 1998, pp. 187–191. 1 2 3 4 5 6 7 8 9 Guererro, Milagros; Encarnacion, Emmanuel; Villegas, Ramon (1996). "Andres Bonifacio and the 1896 Revolution". Sulyap Kultura. National Commission for Culture and the Arts. 1 (2): 3–12. 1 2 3 4 5 6 Guererro, Milagros; Schumacher, S.J., John (1998). Reform and Revolution. Kasaysayan: The History of the Filipino People. 5. Asia Publishing Company Limited. ISBN 962-258-228-1. ↑ Guerrero 1998, pp. 191–193. ↑ Linn 2000, pp. 4–5. ↑ Constantino 1975, p. 224. ↑ Guerrero 1998, p. 192. ↑ Agoncillo 1990, pp. 171–172. ↑ Zaide 1999, pp. 248–249. ↑ Zaide 1999, p. 247. 1 2 Guerrero 1998, p. 194. ↑ Guerrero 1998, p. 193. 1 2 3 Ocampo 1999. ↑ Guerrero 1998, pp. 194–196. 1 2 3 Agoncillo 1990, pp. 180–181. ↑ Villanueva 1989, pp. 60,64. 1 2 Villanueva 1989, pp. 62–63. ↑ Villanueva 1989, pp. 61,64. ↑ Villanueva 1989, pp. 58–64. ↑ Guerrero 1998, p. 189. ↑ Villanueva 1989, pp. 58–59. ↑ Guerrero 1998, p. 196. ↑ Constantino 1980, pp. 125–145. ↑ "Philippine Revolution." Retrieved on August 1, 2009. Agoncillo, Teodoro (1990) , History of the Filipino People (8th ed. ), Quezon City: Garotech Publishing Inc., ISBN 971-10-2415-2 . Agoncillo, Teodoro (1996) , The Revolt of the Masses: The story of Bonifacio and the Katipunan, Quezon City: University of the Philippines Press, ISBN 971-8711-06-6 . Aguinaldo, Emilio (1964), Mga gunita ng himagsikan, Manila . Sagmit; et al. (2007), The Filipino Moving Onward 5' 2007 Ed., Rex Bookstore, Inc., ISBN 978-971-23-4154-0 . Álvarez, Santiago (1992), Malay, Paula Carolina S., ed., The Katipunan and the Revolution: Memoirs of a General, Ateneo de Manila University Press, ISBN 971-550-077-3 . Cristobal, Adrian (2005) , The Tragedy of the Revolution, University of the Philippines Press, ISBN 971-542-471-6 . Borromeo-Buehler, Soledad Masangkay (1998), The Cry of Balintawak: a contrived controversy, Ateneo de Manila University Press, ISBN 978-971-550-278-8 . Constantino, Renato (1980) , "Veneration without Understanding", Dissent and Counter-consciousness, Quezon City: Malaya Books, pp. 125–145 . Delmendo, Sharon (2000), "Pax Americana and the Pacific Theater", in Tolentino, Roland, Geopolitics of the visible: essays on Philippine film cultures, Quezon City: Ateneo de Manila University Press, ISBN 971-550-358-6 . Friend, Theodore (1965) , Between Two Empires: The Ordeal of the Philippines, 1929–1946, Yale University Press . Garcia, Florentino Rodao; Rodriguez, Felice Noelle; Conference, Asociación Española de Estudios del PacíFico (2001), The Philippine Revolution of 1896:Ordinary Lives in Extraordinary Times, Quezon City: Ateneo de Manila University Press, ISBN 971-550-386-1 . Guerrero, Milagros; Encarnacion, Emmanuel; Villegas, Ramon (1996), "Andres Bonifacio and the 1896 Revolution", Sulyap Kultura, National Commission for Culture and the Arts, 1 (2): 3–12 . Guerrero, Milagros; Encarnacion, Emmanuel; Villegas, Ramon (1997), "Balintawak: the Cry for a Nationwide Revolution", Sulyap Kultura, National Commission for Culture and the Arts, 1 (2): 13–22 . Linn, Brian McAllister (2000), The U.S. Army and Counterinsurgency in the Philippine War, 1899–1902, University of North Carolina Press, ISBN 0-8078-4948-0 . Mabini, Apolinario (1969), "CHAPTER VIII: First Stage of the Revolution", in Guerrero, Leon Ma., The Philippine Revolution, National Historical Commission . Morallos, Chando P. (1998), Treasures of the National Library, Manila: Quiapo Printing, ISBN 971-556-018-0 . Nakpil, Julio (1997) , Alzona, Encarnacion, ed., Julio Nakpil and the Philippine Revolution: With the Autobiography of Gregoria de Jesus, Quezon City: Academic Publishing Corporation, ISBN 971-707-048-2 . Ocampo, Ambeth (2001), Bones of Contention: The Bonifacio Lectures, Anvil Publishing, Inc., ISBN 971-27-1151-X . Ocampo, Ambeth (1999), Rizal Without the Overcoat (Expanded ed. ), Anvil Publishing, Inc., ISBN 971-27-0920-5 . Quirino, Carlos (1969), The Young Aguinaldo: From Kawit to Biyak-na-Bato, Manila . Ronquillo, Carlos (1996), Isagani Medina, ed., Ilang talata tungkol sa paghihimagsik nang 1896–1897, Quezon City: University of the Philippines Press . Salazar, Zeus (1994), Agosto 29–30, 1896 : Ang pagsalakay ni Bonifacio sa Maynila, Quezon City: Miranda Bookstore . Zaide, Gregorio (1984), Philippine History and Government, National Bookstore Printing Press . Wikimedia Commons has media related to Andrés Bonifacio.